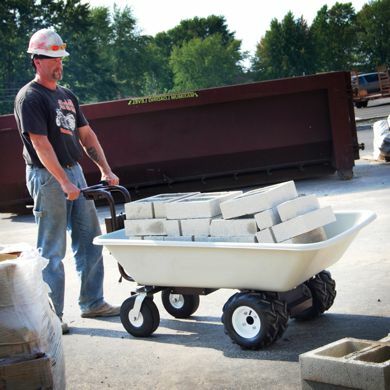 Our Wheelbarrows & Wagons are tough enough to handle even the toughest construction or concrete jobs! 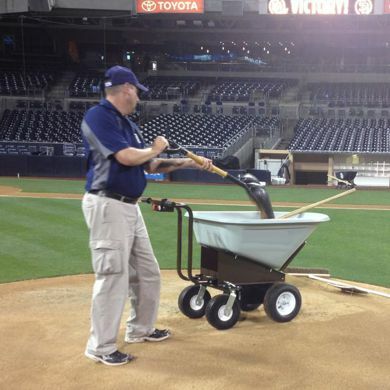 The San Diego Padres are known as having one of the best fields & they use our electric wheelbarrow! 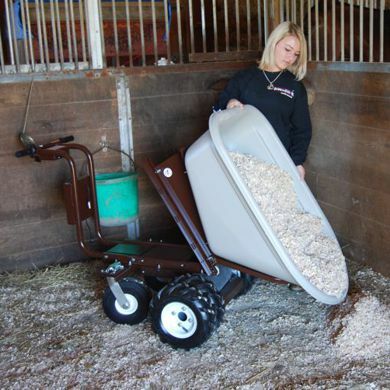 44" Chassis with Heavy Duty 9 Cubic Foot Tray & Dual Ag Tires 27" Chassis with Heavy Duty 8 Cubic Foot Dump Hopper & Dual Ag Tires Large Power Wheelbarrow that features a 10 Cu Ft Hopper & an extra metal platform for even more room to transport material.